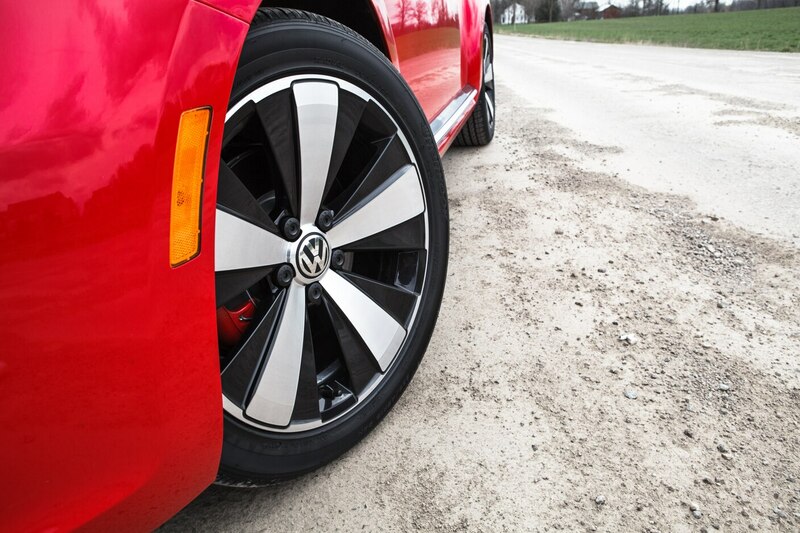 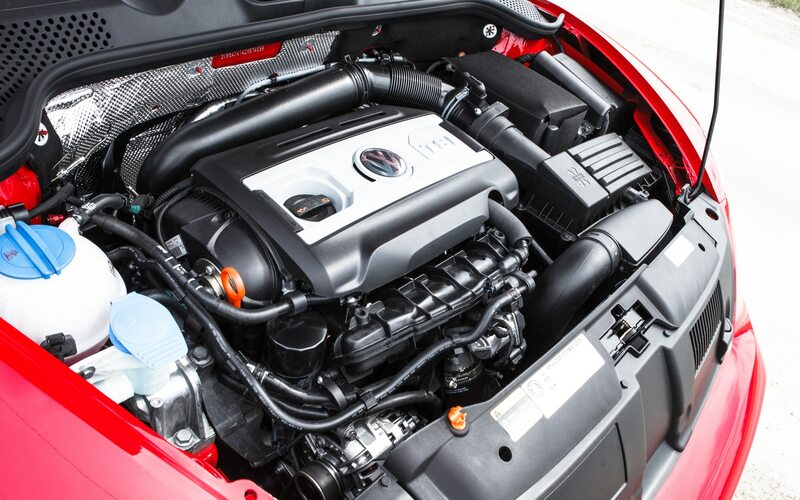 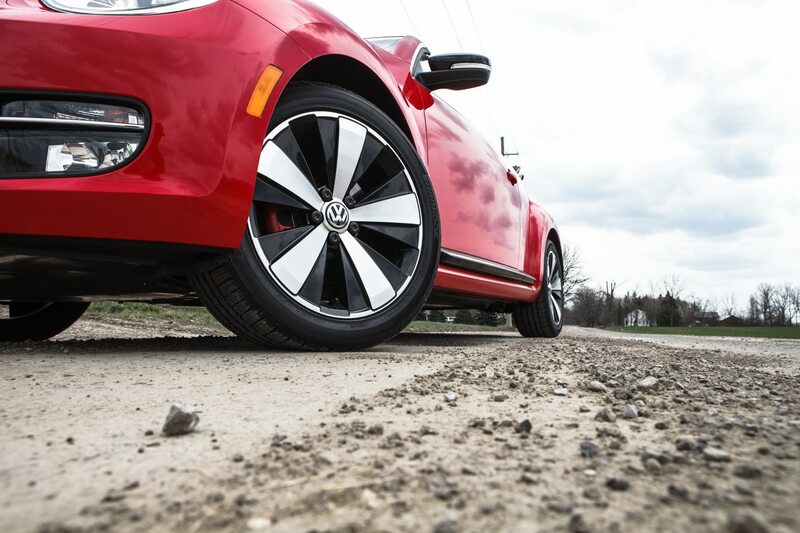 At Automobile Magazine, Volkswagen’s GTI is something of an icon: the last two generations of 2.0-liter-turbo hatchback have earned our coveted Automobile of the Year award, and the 2015 GTI has already begun earning more praise. 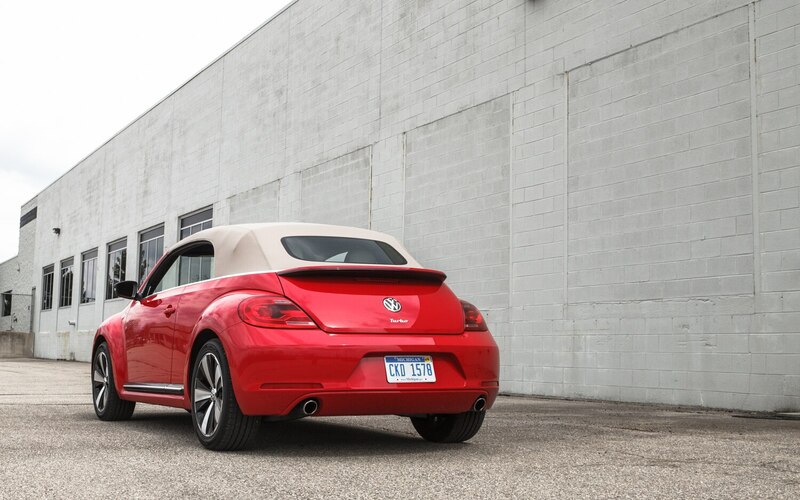 So what happens when you take away the Golf’s hatchback body and plaid seats, and add a fabric top, and a retro exterior? 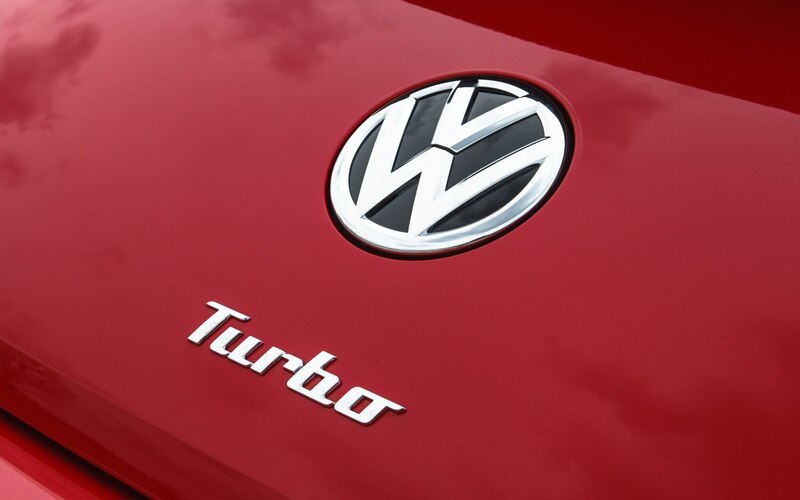 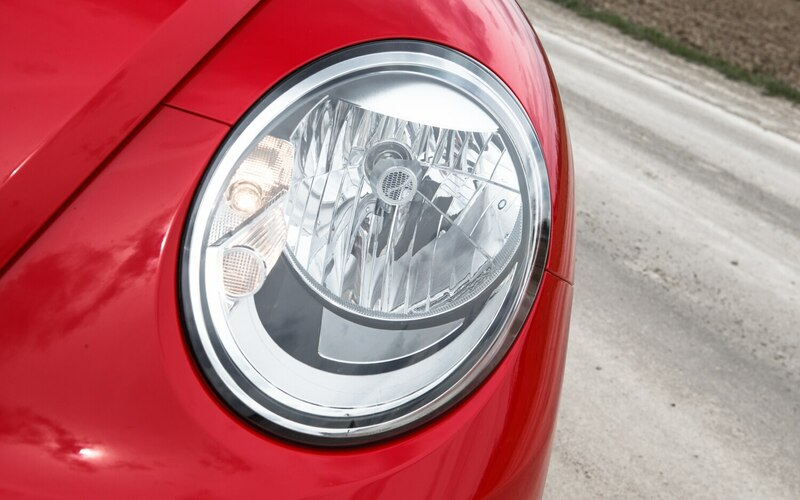 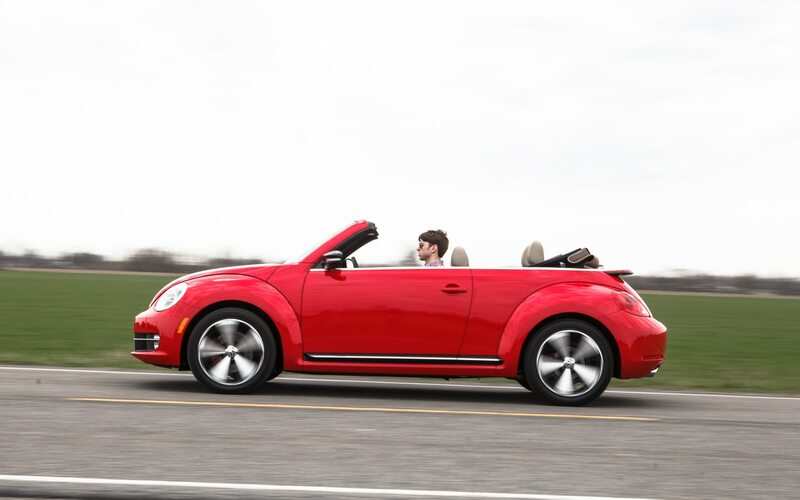 We have one year to find out with this, the 2013 Volkswagen Beetle Convertible Turbo. 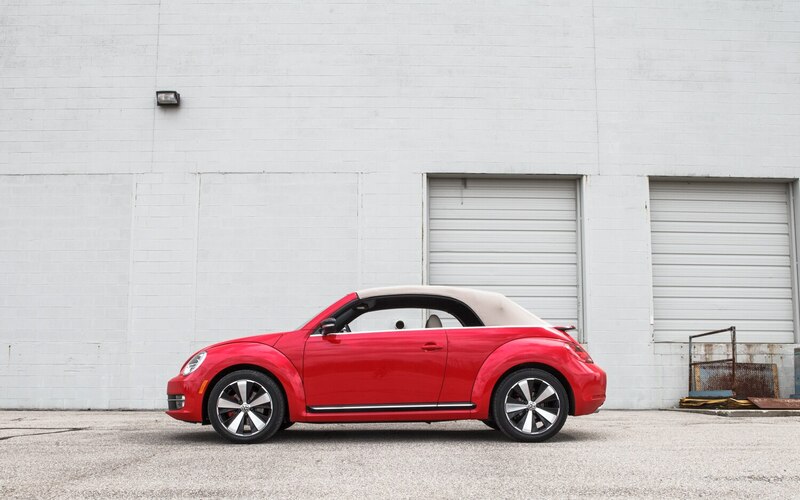 The car you see in photos is well removed from the simple, rear-engined machine that gave birth to the idea of a convertible Beetle (read Michael Jordan’s take on the car here), and different from the 2003 New Beetle convertible, which hacked the top off of VW’s reincarnated retro mobile but retained all of the girly/cutesy style of the hardtop. 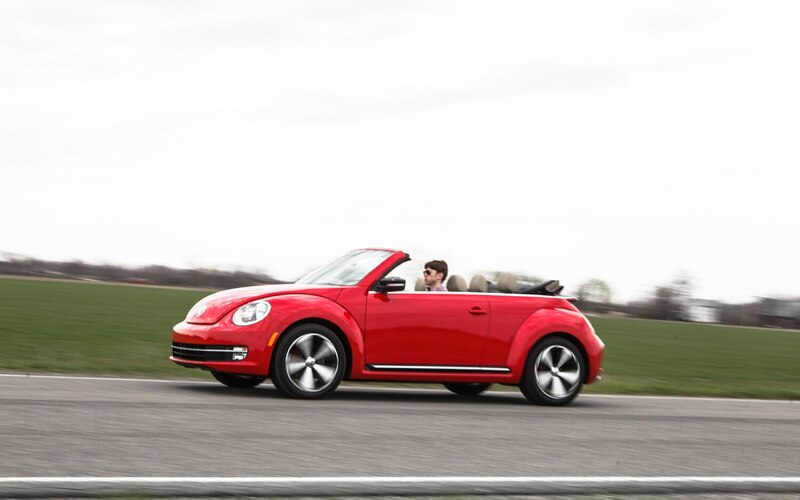 No, what you’re looking at is VW’s attempt at making a unisex convertible, a showcase for some of its best powertrains from the Golf and Jetta that should delight both Jane and John. 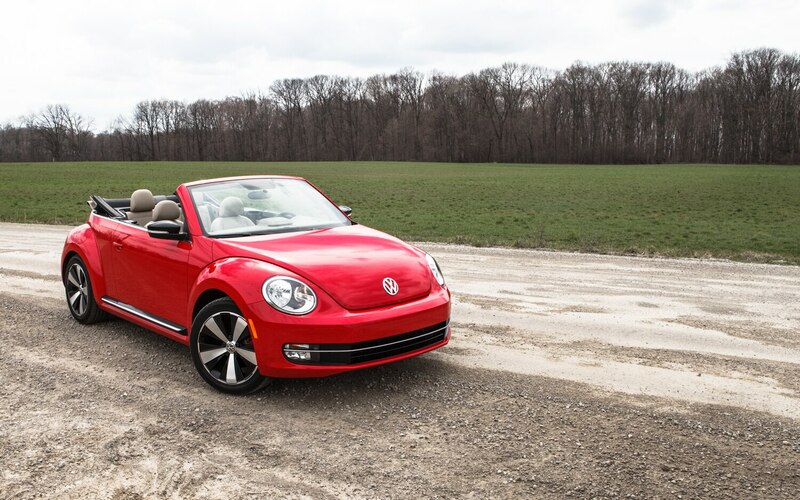 The early-2000s New Beetle convertible initially used Volkswagen’s 2.0-liter (“two point slow”) naturally aspirated four, and the current Beetle Convertible offers both a 2.5-liter naturally aspirated I-5 and a 2.0-liter turbodiesel, but we opted for VW’s excellent 2.0T, a 2.0-liter gasoline four-cylinder turbo making 200 hp and 207 lb-ft of torque. 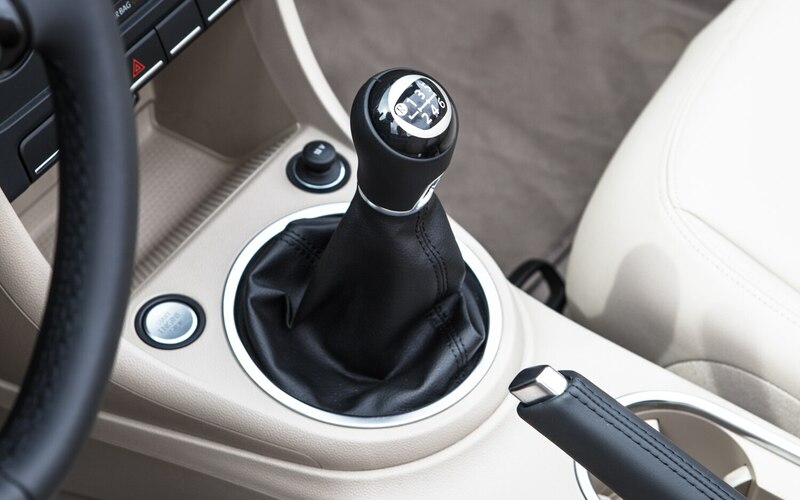 To keep things simple, we stuck with the stock six-speed manual transmission instead of the optional six-speed DSG dual-clutch auto-box. 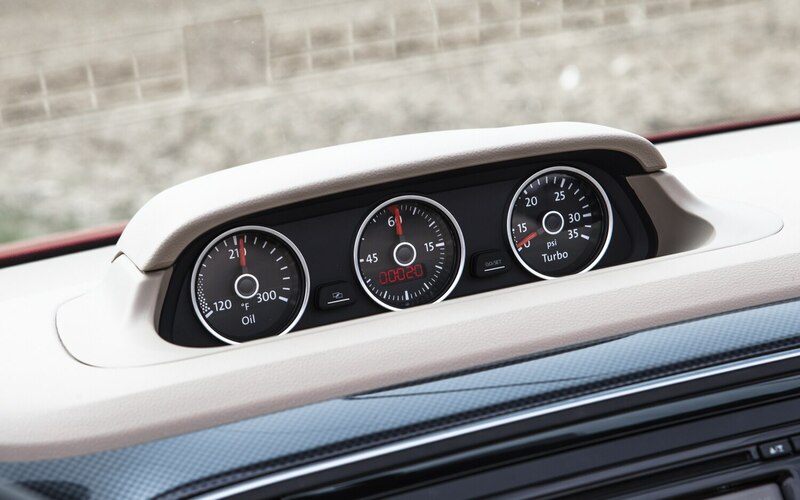 In fact, we kept the order sheet very simple. 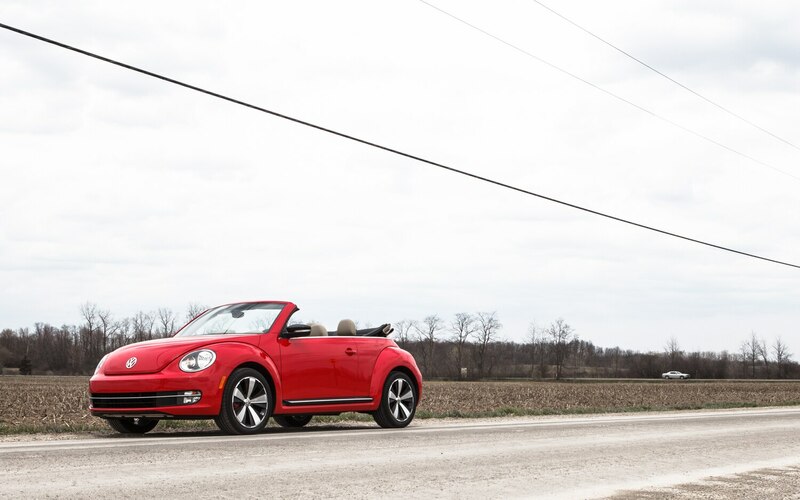 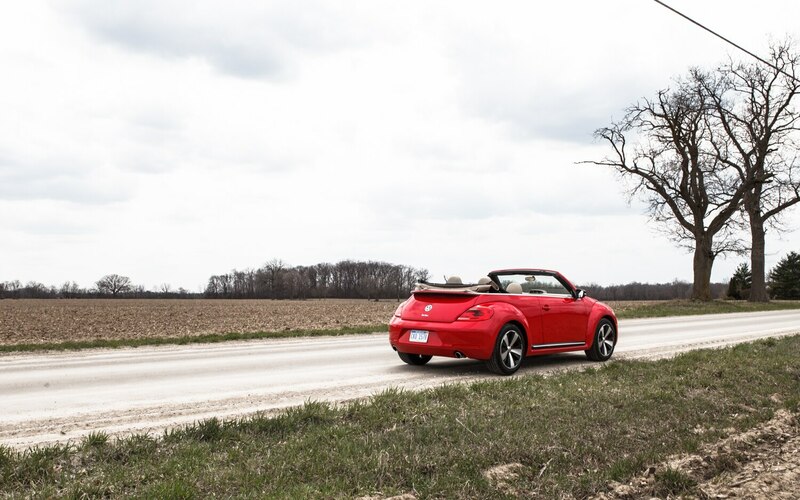 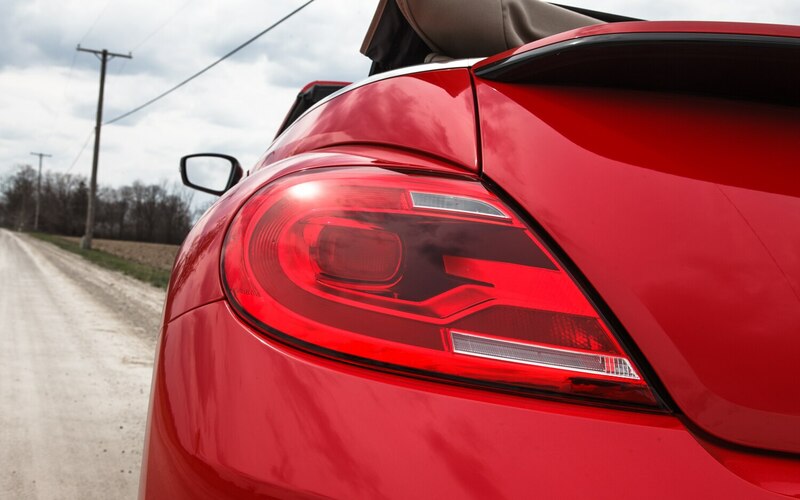 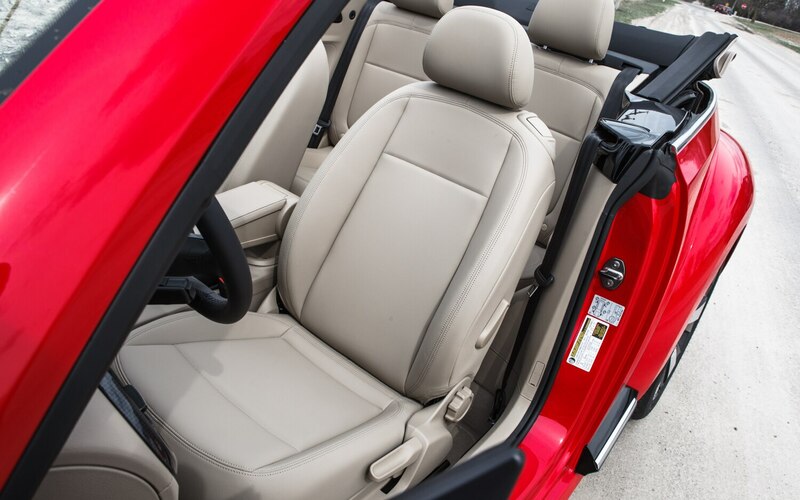 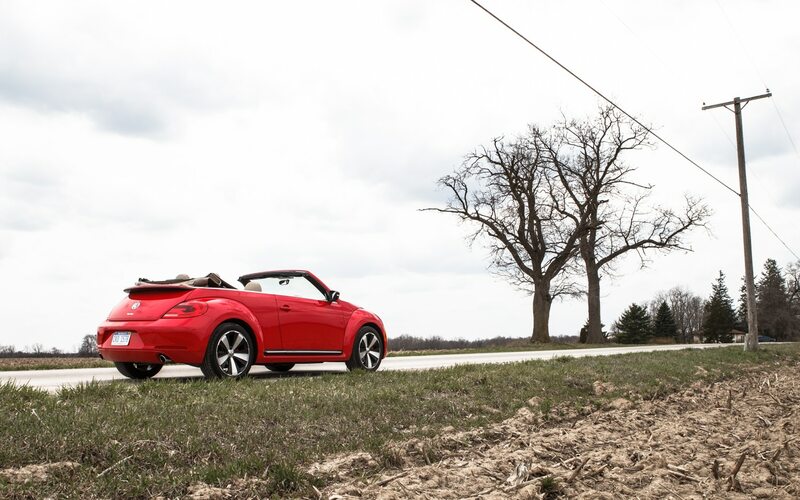 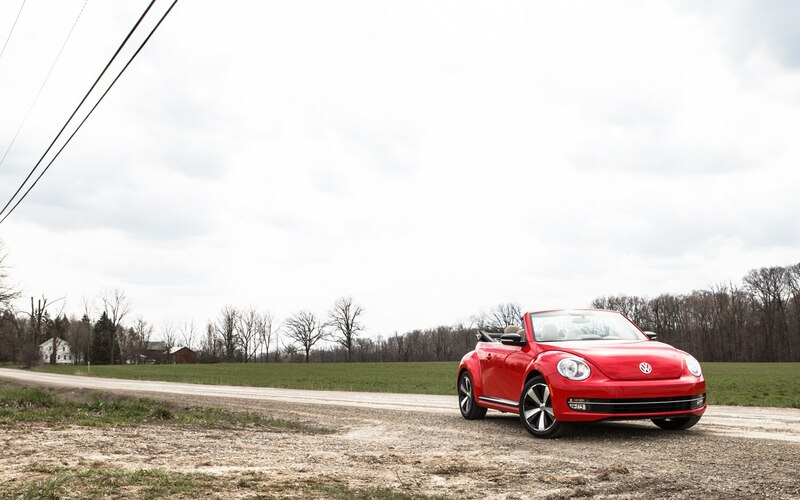 Our Four Seasons Beetle Turbo Convertible has no standalone options. 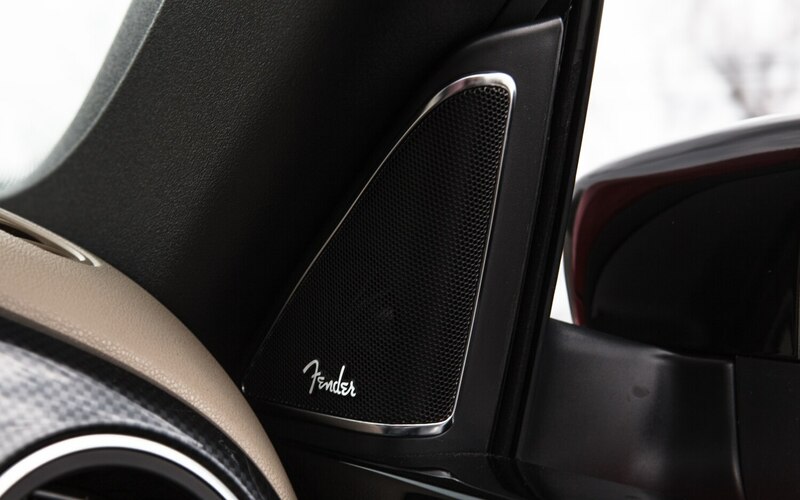 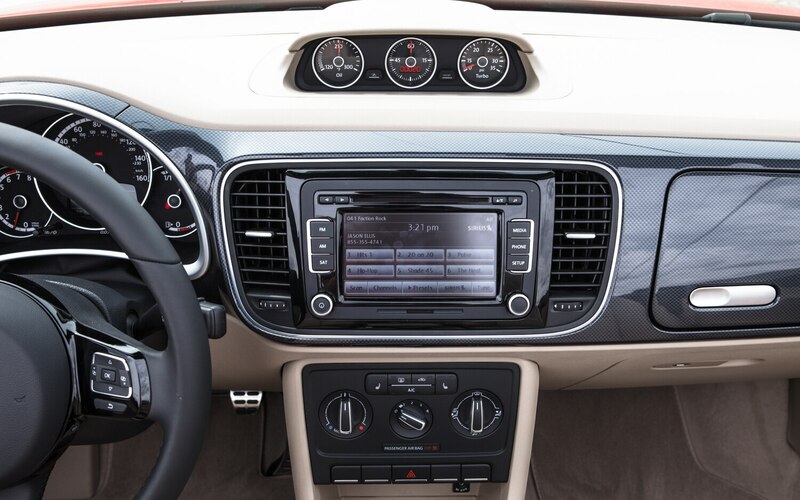 Instead, we opted for the $1400 “Sound” trim level, which features the Premium VIII eight-inch touchscreen, SiriusXM and HD radio services, iPod, AUX, and Bluetooth connectivity, and an eight-speaker audio system. 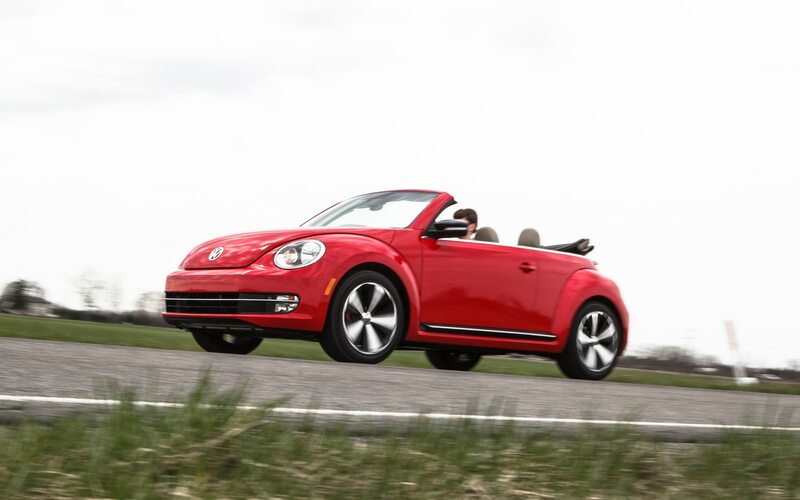 That means our Beetle doesn’t have GPS navigation, and there’s a good reason: navigation would have added $2000 to the bottom line (although that does include leather seats), and would replace the eight-inch touchscreen with VW’s RNS 315 small-screen head unit, which earned plenty of ire in our recently departed Passat TDI. 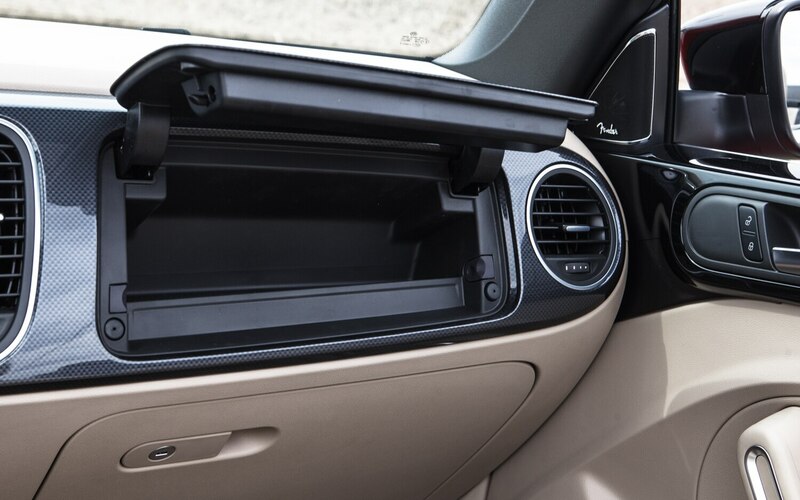 The lack of options doesn’t mean we don’t have plenty of features, however. 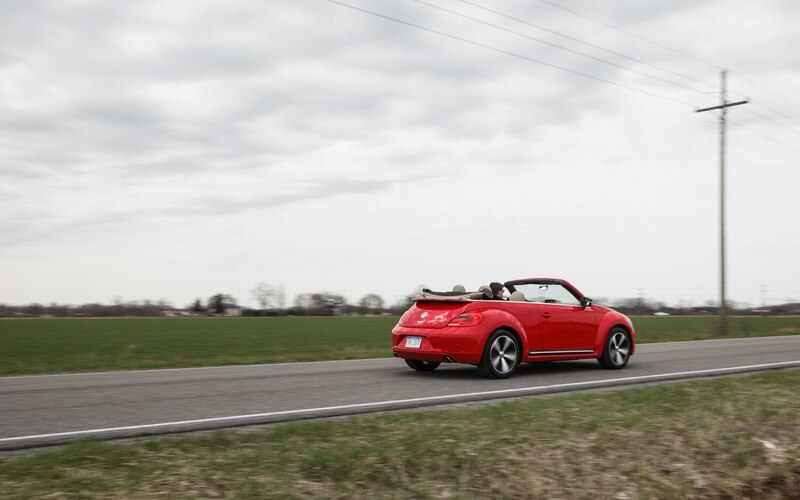 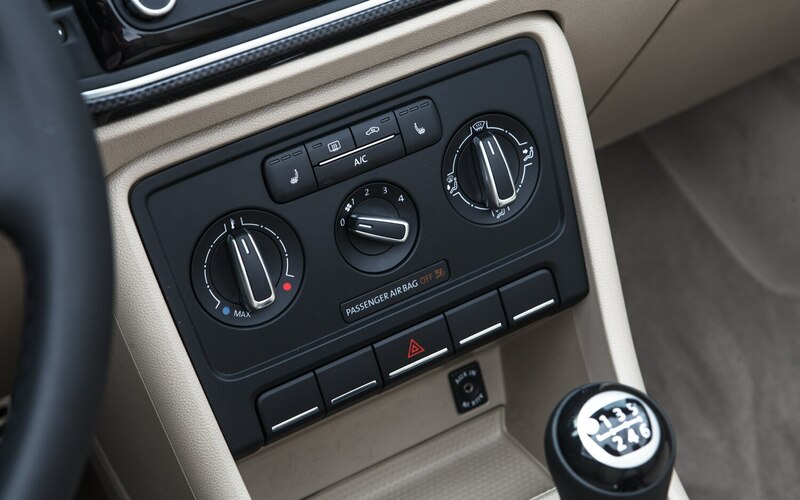 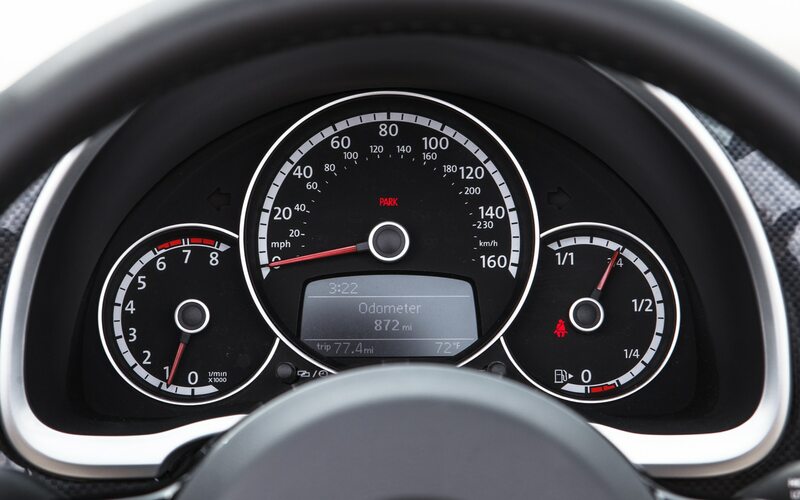 All Beetle Turbo models come with an independent rear suspension (as opposed to lesser Beetles’ torsion-beam setup) on the outside, and heated seats, brushed aluminum pedals, and a three-gauge instrument cluster on the inside. 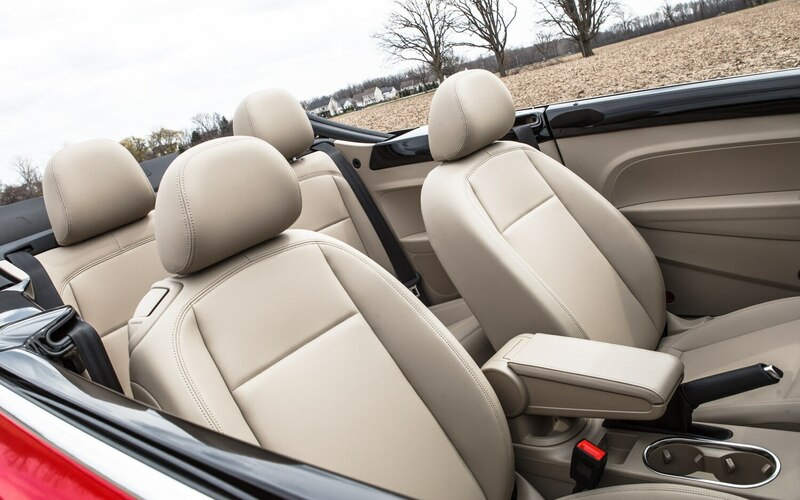 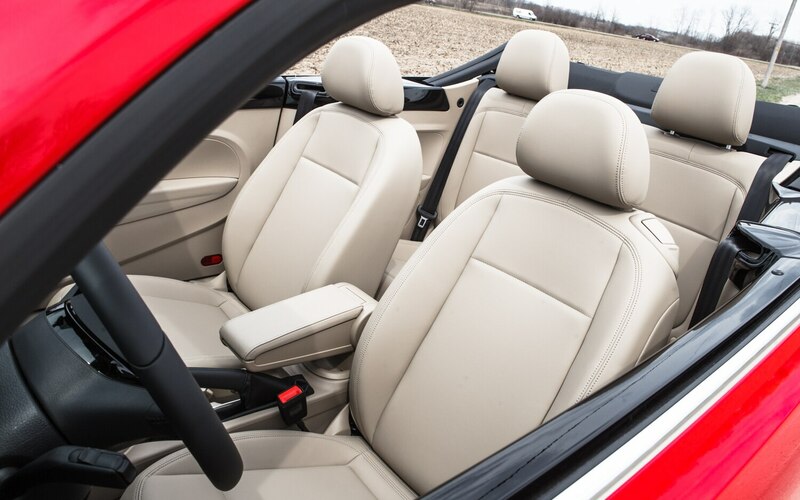 We specified our convertible in the fetching color combination of non-metallic tornado red (no charge) with a beige top over beige leatherette seats. 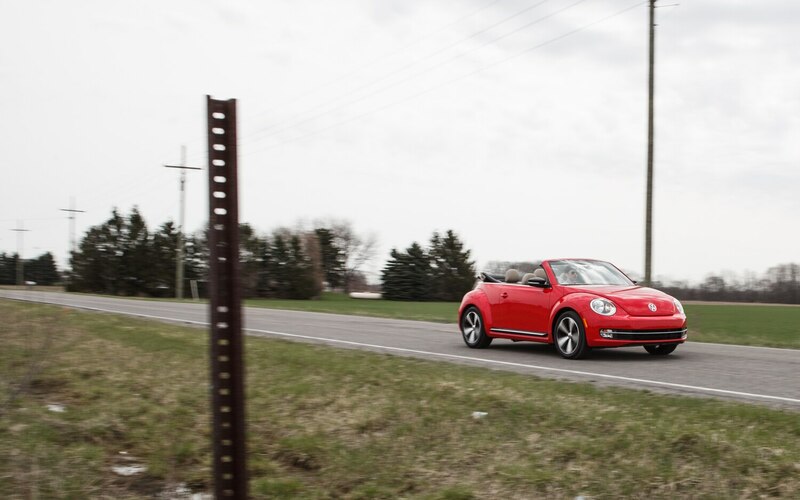 That light touch with the order sheet allowed us to take delivery of a Beetle for just a hair under $30 grand — $29,990, including the $795 destination charge. 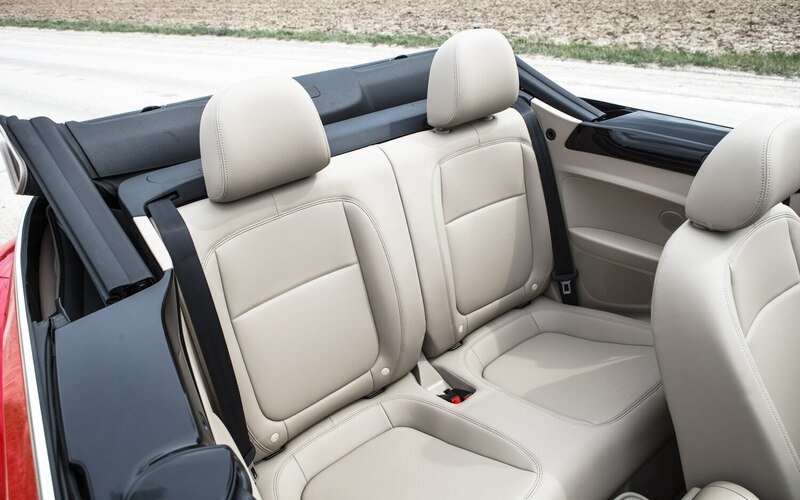 That’s roughly $5000 less than the most basic Eos convertible. 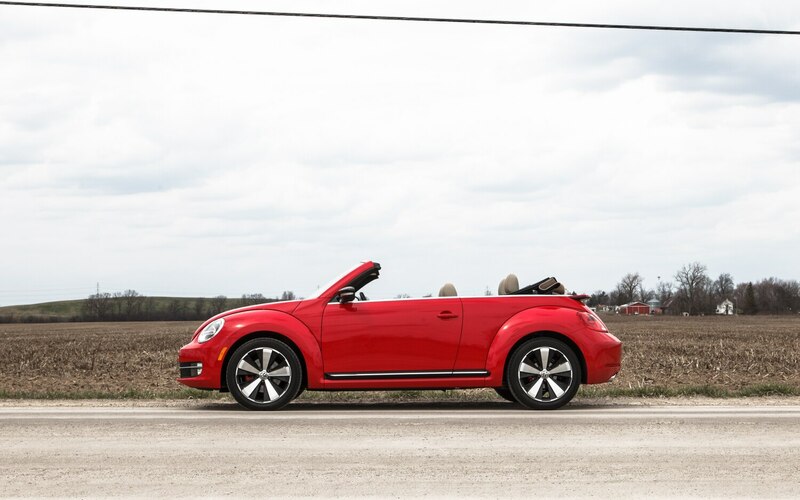 Will the Beetle’s looks and charm bring endless summer to Michigan over the next fifty-two weeks? 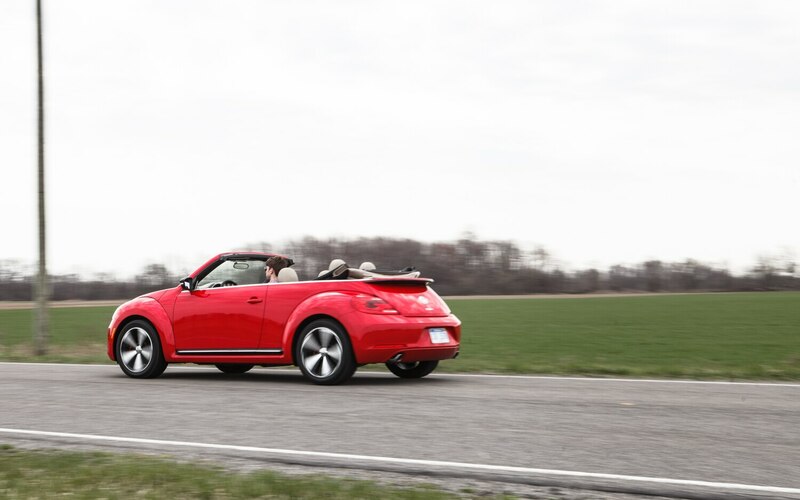 It’s unlikely, but we’ll certainly have the opportunity to evaluate the car in all climes and situations.